Even fielding a half-strength starting 11, Club America still could call upon in-their-prime proven entities Andres Andrade and Osmar Mares as reinforcements off the bench. The Sounders, meanwhile, called upon a pair of second-year players in Cristian Roldan and Darwin Jones and third-year midfielder Aaron Kovar. 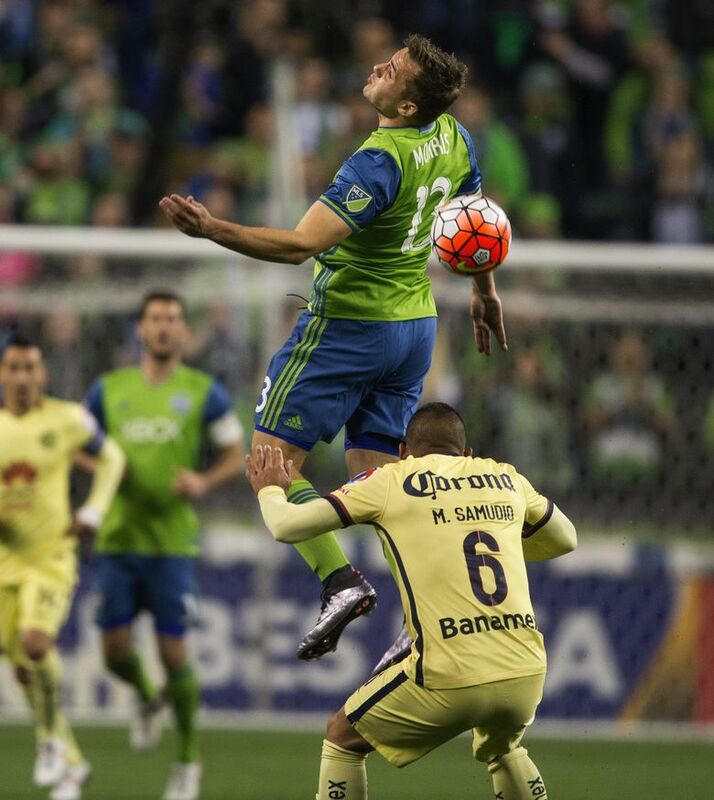 The Sounders’ second-half substitutes during its 2-2 draw with Club America in Leg 1 of their CONCACAF Champions League quarterfinal on Tuesday night were telling for a couple reasons. They underscored the difference in quality of depth between MLS and Liga MX, for one. This is what the Sounders’ oft-stated desire to get younger on the back end of their rotation looks like in practice. The trio provided an initial burst of energy and a much-needed injection of fresh legs. They also made some uncharacteristically heavy touches and rushed passes as the hosts pushed for a would-be game winner. Trusting youth is going to mean growing pains in the early season — and recently signed veterans Nathan Sturgis and Michael Farfan also likely will push for minutes — but the Sounders are banking those will pay off late in the season and in years to come. – New left back Joevin Jones showed glimpses of his ability in his competitive Seattle debut on Tuesday night but also periods of inconsistency the Sounders hope will fade with reps.
Jones grew into the game, playing better as the clock ticked upward and making a series of important tackles in the second half. He also was caught upfield during America’s opening goal, pushing too high and inside and leaving center backs Brad Evans and Chad Marshall on an island. – Tyler Miller has established himself as Seattle’s backup goalkeeper behind Stefan Frei, Schmid confirmed Wednesday in case Tuesday night’s list of available subs wasn’t enough of a hint. Miller, who has fluctuated with fellow second-year goalkeeper Charlie Lyon on the depth chart, made the match-day 18 for the first time in his Sounders career against Club America. -If the name of Club America’s first goal scorer Tuesday night rang a bell, that’s because Darwin Quintero also netted the goal that helped knock the Sounders out of the Champions League in 2013. His first-half goal for Santos Laguna in Leg 2 of that year’s continental semifinals meant Lamar Neagle’s late strike was ultimately for naught in a 2-1 aggregate loss. “I’m sort of tired of facing Quintero and (Oribe) Peralta every time we’re in this competition,” Schmid said.